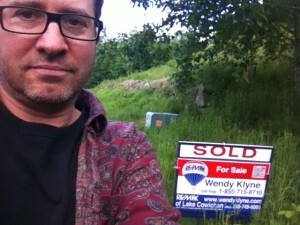 Proud owner or more like – now what? My offer was accepted, June 2013. 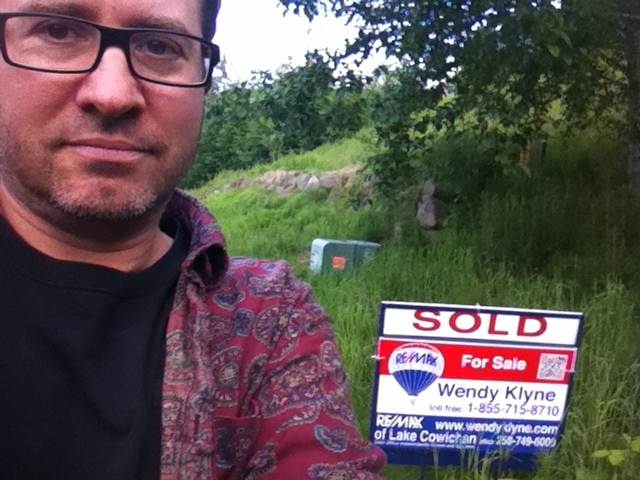 I was able to get a very good price for the land, but I’m not sure I want to live in Lake Cowichan year around. The town of about 3,000 people is a nice town, as small towns go, but it is 30 km from the town of Duncan and 90 km from the city of Victoria (pop. 250,000). Lake Cowichan feels somewhat isolated. However, it is beautiful country. The air is clear. The lake water quality is rated as one of the highest in British Columbia. There was talk some years ago of bottling the lake water. Beyond Lake Cowichan to the West are trees, more trees, and then the Pacific Ocean. Bears and 300 pound Mountain Lions have been known to visit the town during the night. Elk and deer are common pests in gardens. In fact, any food grown in back yards is an invitation to visitors of the night. 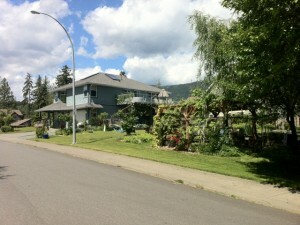 Point Ideal is the nicest and most convenient subdivision in the town of Lake Cowichan. This isn’t just a biased opinion. One local claims it provides half the property taxes for the town (not too pleased with that). My neighbours are mostly retired, with many B&B’s in the area. 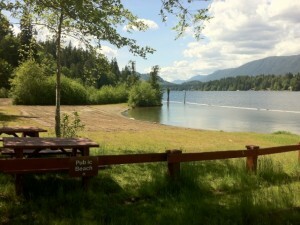 During the summer, Lake Cowichan gets quite busy with tourists. 2013 was the busiest on record with over 27,000 visitors, 9 times the population of the area. The other 10 months of the year, the town is quite sleepy … you might say, livin’ is easy, fish are jumpin’ or why all this rain?? Many attractions of the lake are minutes away on foot. I can walk to the beach and marina in 5 minutes. The town grocery store is 1.8 km. A&W, Subway, and a Bar/Restaurant are a 10 minute jaunt. And if I care to be more ambitious, I can hike to Mesachie Lake taking trails through old growth forest. The subdivision is also surrounded by small parks. Next to my property to the West is a 2 acre land reserve. It’s great to have a quiet neighbour (accept for the frogs during the summer, which make quite a racket). If I walk past the beach I come across Lake Cowichan’s floating dock. It is very peaceful and surprising how little it is used off-season. It’s great for a morning walk and when the water is warmer a refreshing swim. 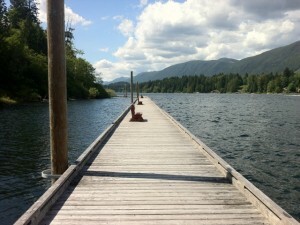 The floating dock is about 400 meters long and only a few minutes from the beach area. Some residents have tried to fish off the dock, but with little luck. The fish like to hide further up the lake and at the mouth of the river in the town.